Stumbled on this guy who makes really elaborate jigs and uses shop tools in a high-precision-meets-resourceful-boy-scout fashion. None of it is digital fabrication, but I think its informative to know how people make do without CNC routers by rethinking everyday hobbyshop tools. 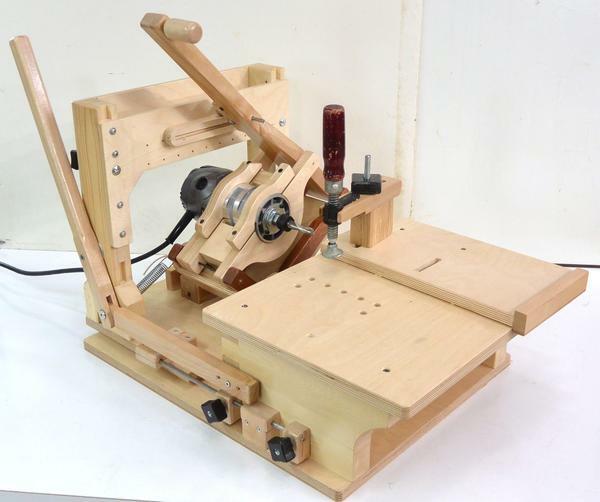 He made a pantorouter, which is a pantograph that moves a router bit instead of a pen/pencil. He designed it with the purpose of cutting gears in wood, but realized it also makes fantastic mortise/tenons and integral dowels. Sonar is pretty old technology but theres a really cool company doing high end imaging versions of it that go far beyond detecting torpedos and submarines in the water. A sonar imager or scanner essentially just has an emitter and a receiver and a processor. The emitter emits sound, and the receiver receives it. The processor determines the attenuation and the delay of the reflected impulse signal to determine how far away the object is. Do this enough over a large area several times from a few directions and you get co-ordinates to the object’s surface which you can then make surfaces/meshes out of. Here is a 3-d scan of a submerged fallen bridge structure at the bottom of a river, taken with a sonar imager. Some cool gifs of Lamprey getting scanned from 5 metres away in really really dark water. 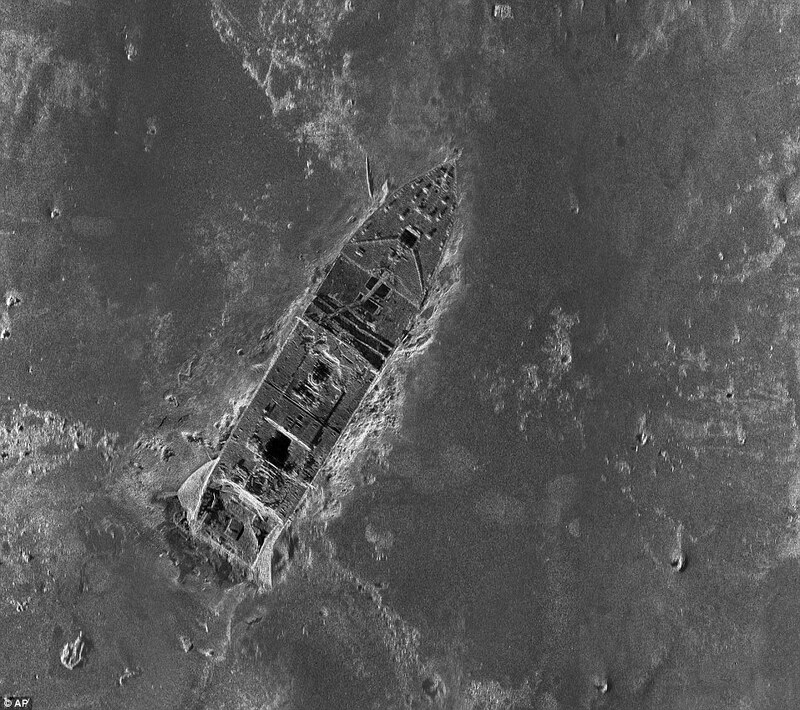 They combined it with low-light underwater robotic photography to make a really intense map of the shipwreck. The good: Using auditory sound to generate visual images is such an engaging concept to my inner printmaker. The synaesthesia involved in this process involves so much translation of data between different processes (that analyse the attenuation, delay, direction…)… it is pretty impressive that we can actually do it without very much technology involved. Whales, Bats and Dolphins use it, so it has to be pretty useful. Especially when light isn’t available. You can also scan really big things. The bad: Sonar is nasty in terms of noise, movement and random refractions/reflections that mess up with the actual reflected wave data that the receiver is supposed to collect. Its also expensive. And doesn’t really work on small objects because sound has a pretty big wavelength (compared to light). Space Symmetry Structure: Blog by London-based architect Daniel Piker; wide orange of advanced Grasshopper and Kangaroo definitions for attractors, origami, etc. The Grasshopper and Rhinoscript examples from class are here. Where does our current obsession for interactivity stem from? After the consumer society and the communication era, does art still contribute to the emergence of a rational society? Bourriaud attempts to renew our approach toward contemporary art by getting as close as possible to the artists works, and by revealing the principles that structure their thoughts: an aesthetic of the inter-human, of the encounter; of proximity, of resisting social formatting.